UPDATED: Pacific Gas & Electric has chosen an option for customers who think their smart meter radios might be a health risk: turn off the radios, and pay the extra charges of having them read manually. Now it’s up to the state regulators that demanded the option be made available to decide if it fits the bill. PG&E’s “radio-off” plan was released Thursday, two weeks to the day after the California Public Utilities Commission President Michael Peevey told the utility it had to present an option for customers who didn’t want a wireless-enabled smart meter attached to their home. A tiny, but very vocal, group of PG&E customers has been blocking smart meter installation trucks and successfully lobbying local governments throughout Northern California to place a moratorium on installing the smart meters. Their complaint — that the 900-megahertz, wireless mesh radios built by Silver Spring Networks and installed in meters made by Landis+Gyr and General Electric (s ge) can cause human health risks — is not supported by the weight of scientific evidence. Even so, communities across PG&E’s service territory have imposed a moratorium on installing the meters, although such moves by city and county governments don’t carry legal force. UPDATE: PG&E wants to charge an up-front fee of $270 and monthly fees of $14 for regular customers who choose the opt-out option, or $215 up-front and $11 per month for members of its CARE program for low-income customers, but it’s also offering different plans that bring down the up-front costs to as low as $105 in exchange for higher monthly payments. PG&E needs to charge more, not only to pay meter readers and customer care reps to manage those opt-out customers, but also to strengthen the wireless network to make up for the missing radios — an important consideration in mesh networks that “bounce” signals from one meter to another to increase coverage area. It also allows for a separate tariff for customers who want the meter moved to a different location on their property: an option that appears to be designed to cater to customers who believe the radio signals being generated by the meters, which carry less strength than cellphones, are threatening their health. Just how the new plan might affect the costs of PG&E’s $2.2 billion, 10-million smart meter rollout remains to be seen. PG&E has already installed about 8 million of the new meters, making a wholesale change in the architecture of reading the meters a very expensive proposition. PG&E’s new plan doesn’t include any mention of using hardwired connections for smart meters, by the way. Companies including Echelon (s ELON) and Aclara provide technology to send data over the same power lines that carry electricity to smart meters, for example. While most smart meters being deployed in the U.S. today use wireless technologies similar to the RF mesh provided by Silver Spring, U.S. utility Duke Energy is using Echelon’s meters, which are also getting lots of traction in Europe. Other technologies to carry smart meter data over phone lines exist, though they’re more than a decade old and not in regular production today. The new plan also doesn’t get into how opt-out, radio-off customers might be able to avail themselves of having their smart meters connected to in-home energy networks to link them with utility pricing programs. PG&E has decided it will use ZigBee wireless communications to link smart meters to home area networks, but hasn’t yet turned on any of these capabilities. Without a communications path to the utility, it’s unlikely that opt-out customers would be able to be turned on once PG&E decides to start connecting those HAN-meter gateways. The CPUC has yet to review PG&E’s new plan. 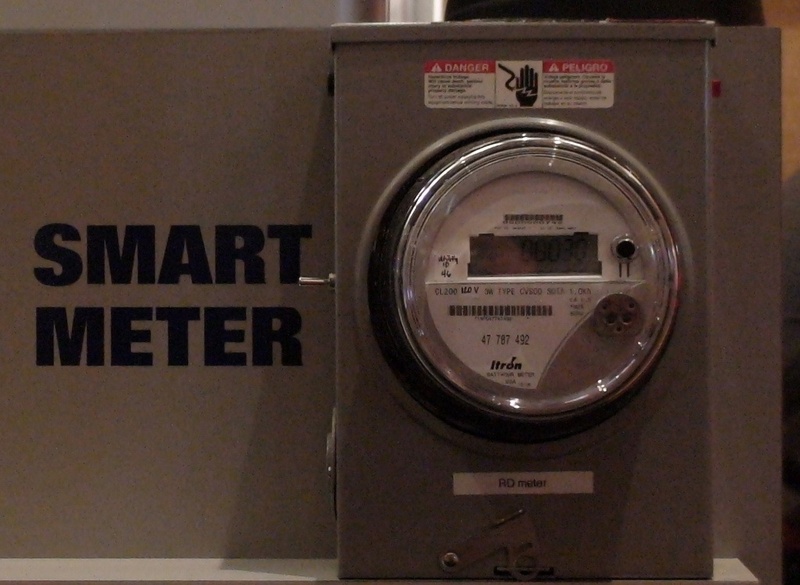 The anti-wireless protests aren’t the only problem the utility has run into with its smart meter project. Customers in Bakersfield, Calif. started the outcry in 2009 by accusing the new smart meter of overcharging them for their power, and a lawsuit is in the works. A Sept. 2010 report on PG&E’s smart meter program found the system wasn’t overcharging customers, but the utility had made mistakes both in implementing the new technology and in reaching out to customers to explain how it would change their bills. Image courtesy of Tom Raftery via Creative Commons license. Notice that the author uses the industryâ€™s favorite phrase, that health risks from wireless technology are â€œnot supported by the weight of scientific evidence.â€ This bland and misleading statement ignores the fact that there are now hundreds of published, peer-reviewed studies out there that do, in fact, point to a serious health risk from wireless technology. There are also hundreds of studies, the vast majority of which are industry-funded, that find no biological effects from low-level microwaves, so the reality of the situation appears confusing. Once you follow the money, though, it is less confusing; it becomes clear that this is Big Tobacco 2.0, and that there has in fact been a well-funded and systemic effort to undercut objective science on the issue, just as there was in the case of tobacco. In addition, enough people are now getting sick from microwave exposure that the facade is starting to crack. The idea that they are all just crazy becomes more and more implausible as their numbers continue to grow. @RobertWilliams, There are little accuracies problems with the meters. That’s been studied and reported on: http://gigaom.com/cleantech/pge-apologies-releases-data-revamps-customer-service-for-smart-meters/. There is also no evidence to suggest that wireless meters cause health problems. What about all the people who are reporting that their wifi meters aren’t working anymore, or their garage doors aren’t opening, or the baby monitors are making strange noises, etc. since installation of their wireless smart meters? Using the unlicensed rf probably isn’t the smartest thing for PG&E regardless of any unknown associated health problems especially since it has long been know that as more rf is added, susceptibility to interference will increase. Perhaps this is the reason there are so many billing problems associated with these smart meters when deployed in a large network. There must be a reason that pretty much the whole world is going with PLC instead of wireless mesh…is there a money trail to follow? Phew! I was beginning to think that Santa Fe had the market cornered in nutballs timorous to need lead-lined jockey shorts to protect them from wifi, etc.. SO CUSTOMERS ARE SUPPOSED TO PAY FOR PG$E MISMANAGEMENT ?!! 1.PG$E put in meters that have accuracy problems (in their favor), documented fire problems, security and hacking problems, Electronics and motion detector interference problems and health problems. 2. PG$E claimed advantages to this Wireless meter program, but NONE of those advantages are actually occurring for PG$E customers or others in any other country or state where similar meters were installed. 3. PG$E started installing 20 million of these meters with customers paying the $2.2 Billion price tag on our monthly bills with NO PILOT PROGRAM in advance to see what the problems would be and if anything even works. 4. And WE, THE CUSTOMERS, are caught holding the bill for PG$E’s derelict management, planning and technical fiascos that, as in Hinkley, look like they are also hurting us. 5. And finally: if we remove the meters from our home to reduce non-ionizing radiation from our immediate home environment, then PG$E is going to add more radiation transmitters in our general community, where we also spend time, to make up for the reduction at any homes that opt-out. 6. This is enough for me to call on the State Government to take back the license for PG$E to operate in California. No matter how derelict our government is and will be in operating utility delivery, it would be considerably better than PG$E. The workers are fine and available.